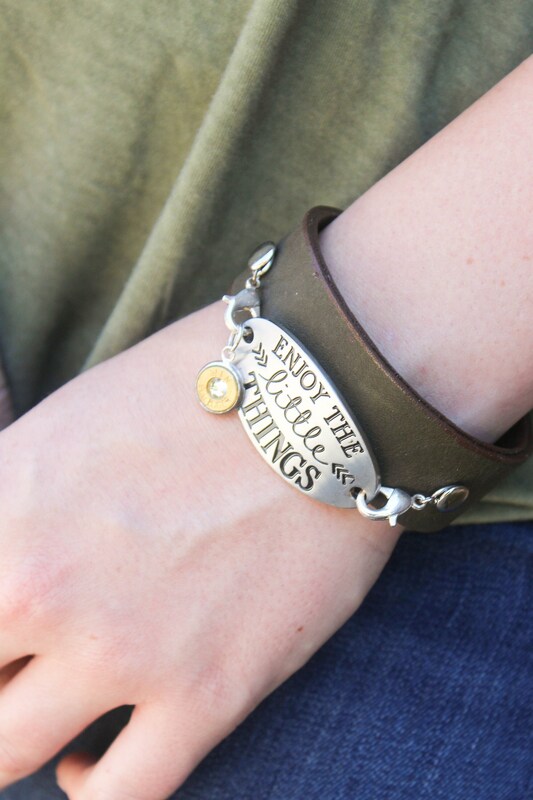 "Enjoy the Little Things Leather Cuff Bracelet"
Beautifully detailed quoted concho fastened on a Genuine Leather cuff bracelet featuring a dainty 9mm Bullet charm. 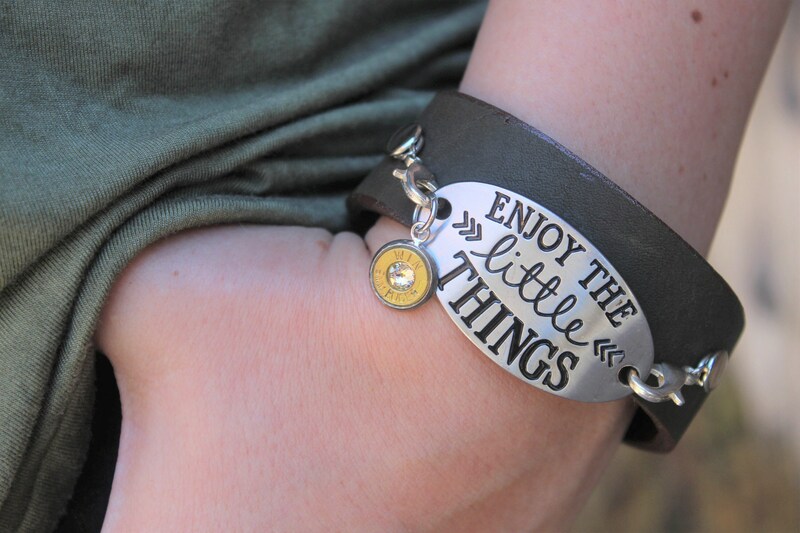 Hey Biker Babe, "Enjoy the Little Things"! How about the open road, your warmed-up Harley, the perfect accessories, and a beautiful view! 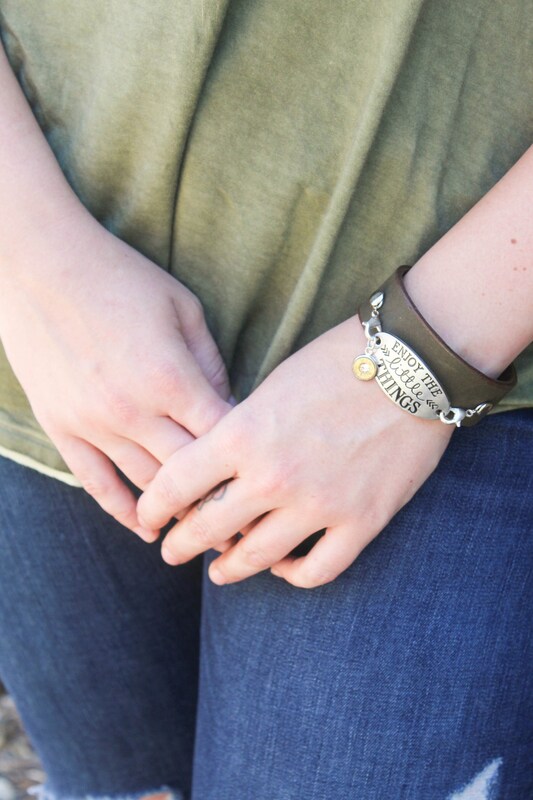 A soft matte touch to this unique olive dyed Genuine Leather cuff, you can rock this style all Summer, Fall, and Winter long! - Genuine Leather is a fragile material, do not recommend getting wet- sweat is OK in moderation but consider this to be a special occasion bracelet for the warmer months and an every day for the cooler wet months. Store in a cool dry place, not in the sun.